One of the biggest money mistakes Sai Pramod G.N. says he made in his life was investing in a single asset class—real estate—by being in a hurry to clear off his home loan. He bought a house in 2003, and for 10 years after that, he just focused on repaying the loan. “I just wanted to get rid of the loan. Whenever I had a salary increment or had any surplus, I just increased the EMI outflow to the bank,” he said. That helped in finishing the loan 10 years before it was slated to get over, but “that was a bad idea”, he said. When his loan finally got over, he felt a burden was off his shoulders. “I felt a sense of freedom and wanted to just splurge for some time and not save anything,” he said. That was another mistake. The two mistakes together set him back by 10-15 years when it came to saving for and achieving his financial goals. It’s another matter though that through these years, he never thought about setting these financial goals for himself. “I just wanted to have enough to have a decent life and never had specific financial goals,” said Pramod. Pramod’s wife Sarveena P.S. is a believer in real estate but now realises it’s not a good idea to restrict oneself to it. “Real estate prices have been stagnant for some time now. Though I don’t understand mutual funds much, I have placed my trust in Pramod,” said Sarveena, a home-maker. After his so-called holiday from investing when Pramod became serious about it and approached a financial planner, one of the first things he was made to do was to concretise his financial goals. Pramod met Melvin Joseph, a Sebi-registered investment adviser and founder of Finvin Financial Planners, after discussions with colleagues on the importance of financial planning. “What really put me on the road of financial well being was a talk organised at my workplace. After that, I researched on the internet and found out about Melvin. I found some good reviews about him and decided to meet him,” said Pramod. Two of his primary goals are retirement and the education of his 11-year-old son Smayan Gadam. For both goals, he is investing in direct equity mutual funds. “My son is now in the 6th grade, so we have started switching to a little bit of debt as the goal is only 6-7 years ahead. For retirement funds, a similar switch will happen around age 50,” said Pramod. He has also opened Public Provident Fund (PPF) accounts in his and his wife’s names, based on the planner’s advice. While there were some wrongs he committed, there were a few rights as well. Pramod had taken adequate term life insurance cover even before the plan, he had an individual health insurance plan for himself and one for his wife and son, apart from the cover he has from his company. The planner made him buy a critical illness insurance policy as well. Pramod has opened a separate savings bank account for his investments. For all the mistakes he committed, Pramod now wants to ensure they do not get passed on to the next generation. “I have opened a separate savings account for my son and even sent him to a summer camp on financial planning,” he said. 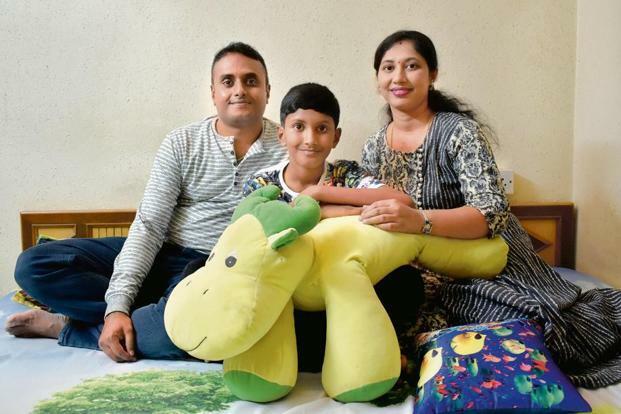 Pramod now realises the importance of starting investing early, preferably in the 20s, and doesn’t want his son to lag when it comes to his financial life.